I would take it to school and use it for some kids I have that are just struggling with reading Books scare the beejesus out of them because they equate reading with failing. This would be right up there alley. A lot of kids with reading difficulties play an inordinate amount of video games (a debate for another time!!!) so this would appeal to them greatly. Abi would go BANANAS for one of these. She is forever reading books and heaven help me the day she figures out how to use my kindle!! At minimum, I read about long 5 books a day. I would love her to have some independence and start to read on her own. 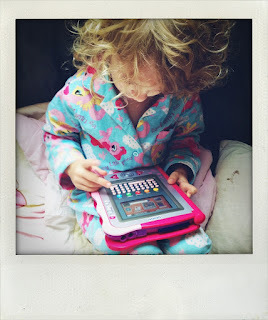 Frankie my Miss 3 would love a storio and I would love her to practice her writing and reading. That way, she will be able to differentiate between an 8 and a B next time! (tho I have to admit, I was pretty impressed when she recognised the 8). Thanks for the opportunity to win. I would love to use it for my son, Harry. He loves books and he loves my lap top just as much. So this would combine the two very nicely. 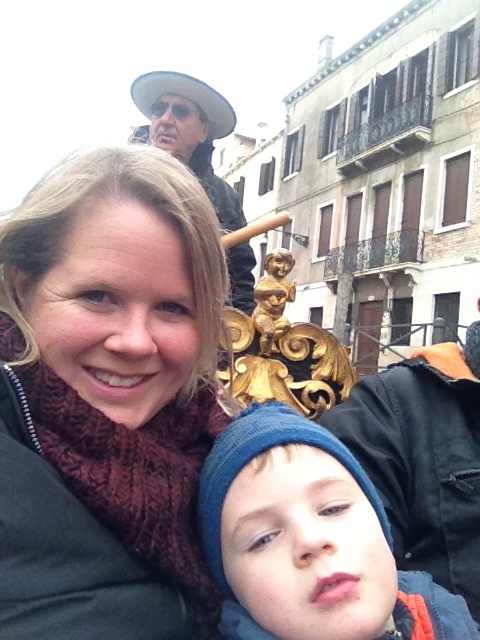 Thanks for such a balanced review Corinne, and the chance to enter! I've been eyeing off one of these for a while, thanks for the review for the extra info. I still have trouble getting my head around the way technology is moving, especially with kids games, most of the time they're showing me how things work. I'd be guessing that if we were lucky enough to win all three of my girls would LOVE it, in fact they'd probably be fighting over it, so maybe I shouldn't win! 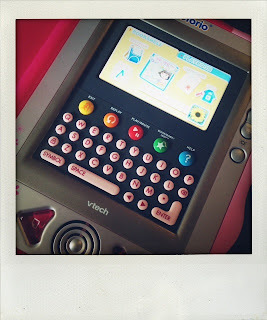 I love that it has books, games and links to the v-tech camera that's good marketing! Oh my word Corinne, this is FABULOUS giveaway. And the advancements in children's games and learning tools is overwhelming. I know there is so much more out there that I should be buying for the boys, but what to buy? and what not to? It's mind-boggling. This is a great review on the Vtech Storio in any case, so thank you for that. If I was to win one of these clever things, it would definitely be Angus and his four year old inquisitive mind who would benefit. He would be loving the Cars 2 console. My nephew Harrison is turning 4 next month and this would make me Uncle of the year!! He loves stories and is curious with all things electronic, so he would take to it quickly! The Cars theme makes anything cool in his eyes, and he loves learning. Three evenings a week I am the solo parent in the house (something you're currently experiencing!). It is a juggle to feed, bathe and get two little boys to bed who - without fail - go slightly crazy every one of these evenings come bed time. 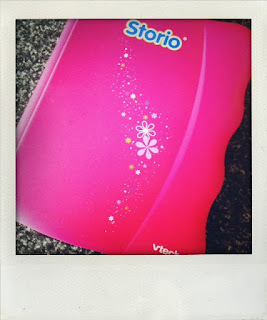 Mr 3 (whose evening catch cry is - "just one more book Mum please") would love the Storio and be the one to get the most use out of it. But, to be honest, I think it would be me who would like it the most! My three year old loves to be read to and is trying figure out all her letters. Sometimes when the baby needs attention, Miss A feels left out. She would love to be a big girl and have her own Storio.